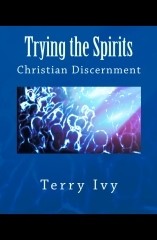 Like every true believer, the disciples desired to walk in a deeper dimension of faith with Christ. They asked Him to explain how they could increase their faith. (Luke 17:5-10) What a wonderful request! However, when we examine the answer Jesus gave to them, we are surprised at His response. It is a great distance from what is usually taught today in Christian circles. How did Jesus answer this question? How does it apply for us if we want to increase our faith? Let’s look at this briefly. * Second Point – Jesus discusses the relationship between servant and master. (v. 7-8) Servant is an unfortunate translation. The Greek word for servant (doulos) is ‘slave.’ A servant can come and go, with the expectation of payment. However, a slave has no rights except to obey his master. Application – When we begin to really see that we are the ‘slave’ and not the ‘master’ in our relationship with the Lord, we will step into the position of ‘trusting’ Christ in the biblical sense of the word. Modern ‘faith teachers’ usually elevate man’s control and desires, and this leads to an attempt to manipulate God. This turns God into a religious dispensing machine and is foreign to genuine faith. Many attempt to use ‘faith’ for help in trouble, only to ignore or neglect walking with Jesus when everything is going good. Application – Expecting a ‘thank you’ for our reasonable service is a works based reward system and is not part of the dynamics of faith. It is our privilege to be a slave to Christ because He is Enough. Our relationship must never be to earn rewards, but simply out of Love for Who He Is! If we walk in a ‘works based’ relationship, we have abandoned Grace and are trusting our goodness instead of God’s Mercy. Application – Our faith will never increase until we learn to ‘DO’ all the things our Master has instructed us to do. Why should God give us more faith if we are not using what we already have? Too many times, we ask for an increase of faith apart from repentance for disobedience and commitment to obedience. Application – The continual attitude of ‘unworthiness’ is vital to our walk of faith. Nothing short-circuits our walk of faith like pride, high-mindedness or a God ‘owes me’ mentality. This is why the majority of faith teaching is erroneous–it attempts to control God and turn Him into our bell-hop and chauffeur. God has always resisted (to stand at battle against) pride…and He still does. (Jas. 4:6) The Lord will never abdicate His Lordship to the carnal desires of man. Next time we ask the Lord to increase our faith, let’s be careful to follow the proper path to get our prayer answered. That path includes simplicity, properly understanding the slave relationship, obedience, duty and humility. There are a lot of books and sermons on how to grow in faith, but this is the answer and path that Jesus gave, and we should adhere to it closely. Every other path produces false faith, spiritual gimmickry and shallowness.